Roxana Crisólogo is bringing together writers and poets in Finland with immigrant backgrounds. From Peru to Finland, Roxana Crisólogo leaves her mark in the cultural circles in different corners of the world. Her latest project is bringing together writers and poets in Finland with immigrant backgrounds. Crisólogo came to Finland eight years ago for the usual reason: being married to a Finn. Although love did not last, she decided to stay. "Finland offers you so many possibilities in regard to education," Crisólogo observes. "Also, I could not imagine living in a Latin American society anymore after having experienced the wonderfully equal Finnish system. It's outstanding how in this country people are not rated by money and possessions but by their actions and work. I have a daughter and I did not want her to grow up in an environment where people are driven by money and looks." In Peru, Crisólogo worked as a cultural producer, writer and poet. She is the eldest of the family's six daughters and was encouraged by her mother to get good education, preferably that of either a doctor or a lawyer. Crisólogo, however, chose to follow her own path. She was, in her own words, a cultural activist and very happy with her job. "I was very sceptical first about coming to Finland," she admits. "I was worried about finding work here, and rightly so. After arriving in Helsinki, I was advised to study to become a practical nurse for taking care of the elderly. I could not do it because I have allergies, and being in my forties I thought I was too old for it anyway." 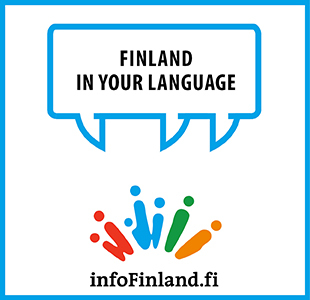 Crisólogo studied hard to get a grasp of the Finnish language and was told to find an internship somewhere to intensify her learning of the language. She dreamed about finding work in her field, although the advisors did not mince their words in informing her that there simply was no work available in the cultural sector. Crisólogo, however, was determined to stick to her beloved field, and eventually she did find a window of opportunity. "I was very lucky to get the chance to do my internship at Taiteen Edistämiskeskus (Arts Promotion Centre) – I wouldn't be where I am now without it. I worked there at Outi Korhonen's office, and her job includes helping trans-cultural artists here in Finland. Through my internship, I witnessed first-hand how difficult the situation was specifically for immigrant writers, as they work with words that don't bear any meaning in this country." "It has taken off really well. The idea is to provide visibility for writers and poets with immigrant backgrounds, as well as to make them more included in the local writing scene." Crisólogo writes poetry herself, and has published four books in Spanish. "I draw inspiration from my mother's experiences as a young woman when she had to leave her home town in order to find work. I write about cultural encounters and misunderstandings, racism and prejudice in big cities where people arrive in search of better opportunities." Since the beginning of Sivuvalo in May last year, Crisólogo has arranged numerous poetry reading opportunities, among other activities. "Some of the artists read poems in their own languages, some in Finnish, and there have never been any problems. People come to these events with an open mind and listen to poems being read in languages that they might not understand." See Roxana Crisólogo with Sivuvalo at Lukuviikko on Saturday 12 April at Stoa Culture Centre, Helsinki.